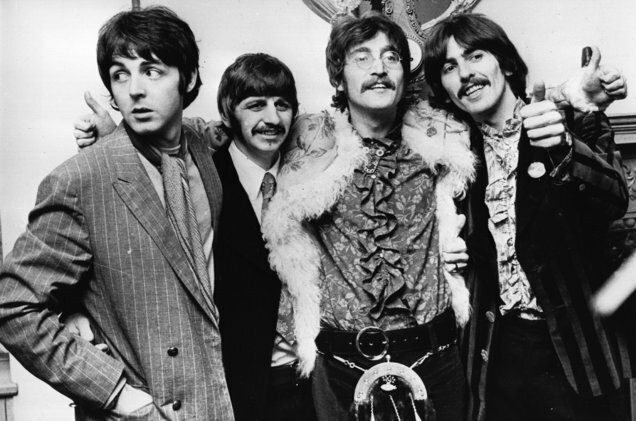 So, today we head back to the late 1960s and The Beatles, with Hey Jude. The Beatles were to become the most popular group of all time with world sales of over one billion and UK singles sales of 20.8 million. The song reached #1 in the UK, and spent 16 weeks in the singles chart. Don gave the anthemic song its first spin over the tannoy at Edgar Street on the 28th of September 1968 ahead of a Southern League Premier Division match against Cheltenham Town. 28/9/1968 v Cheltenham. The Bulls won 3-1. Attendance: 3,750. Line Up: Lyn Davies, Johnny Bird, Roy Evans, John Charles, Alan Jones, Alan Scarrott, David Summerhayes, Mick Lewis, Brian Purcell, Albert Derrick, Tony White. The Bulls had signed seven new players ahead of the season with Lyn Davies (Cardiff), Roy Evans (Swansea), John Bird (Newport), Mick Lewis (Rotherham), Brian Purcell (Swansea), Alan Scarrott (Reading), and Tony White (Rotherham) being the newcomers. The whole season was overshadowed by the deaths of Evans and Purcell who were killed in a car crash on 20th January 1969 whilst travelling to a Camkin Cup match at Nuneaton. Both had become popular players at the club during their short spell at Edgar Street. Hereford went on to finish 14th that season, winning 15 of their 42 league games. Cambridge United became champions but failed to gain election to the Football League as the “Old Pals Act” ensured Grimsby, York, Bradford Park Avenue and Newport County had a stay of execution and were re-elected. Cheltenham were relegated alongside Bedford Town, Rugby Town and Guildford City. Hey Jude became a popular song around Edgar Street, indeed, many will recall the Meadow End “Kop” changing the chorus a few years later to Nah nah nah nah nah nah nah nah nah Redrobe, after the bustling striker made an instant impact after joining the club from Southport.